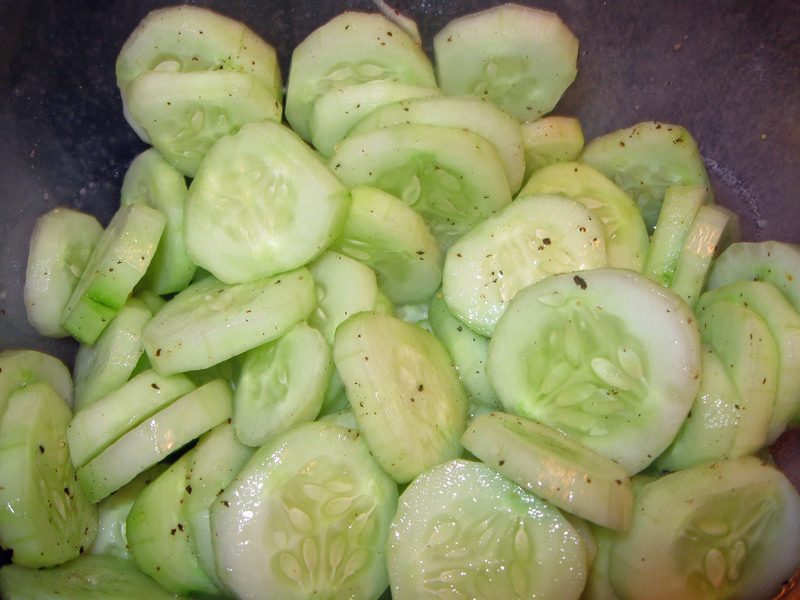 Black pepper | Albert Moyer, Jr.
One of my favorite healthy low-calorie snacks is small pickling cucumbers marinated in lemon juice, a little sea salt, and black pepper. It is quick, simple, and will fit anyone’s vibe. Vegan, meat-eater, weight watcher, etc. The first thing to do is gather the tools and the supplies for ease of preparation. 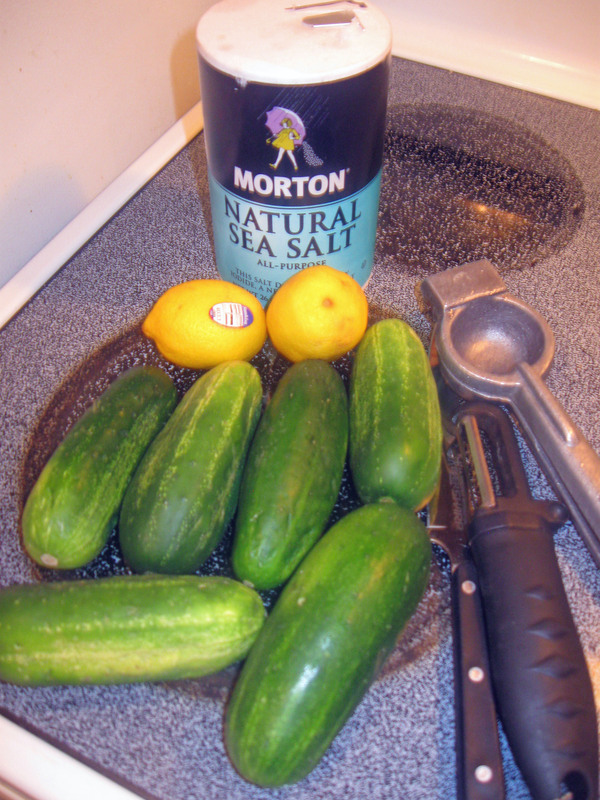 Peel the six pickling cucumbers, slice, and place in a bowl with lid. Squeeze juice from two lemons in the bowl. Add 1/4 teaspoon of salt. Shake them well. Add a little black pepper. Enjoy your quick healthy snack. My stomach sent a message of hunger to my brain and the first thing I thought about was biscuits and gravy. I don’t have them, nor are they available at the moment, so I decided to write a Haiku and imagine them. I hope you enjoy the Haiku. Steak tips: Season and marinate overnight. Never cook cold. 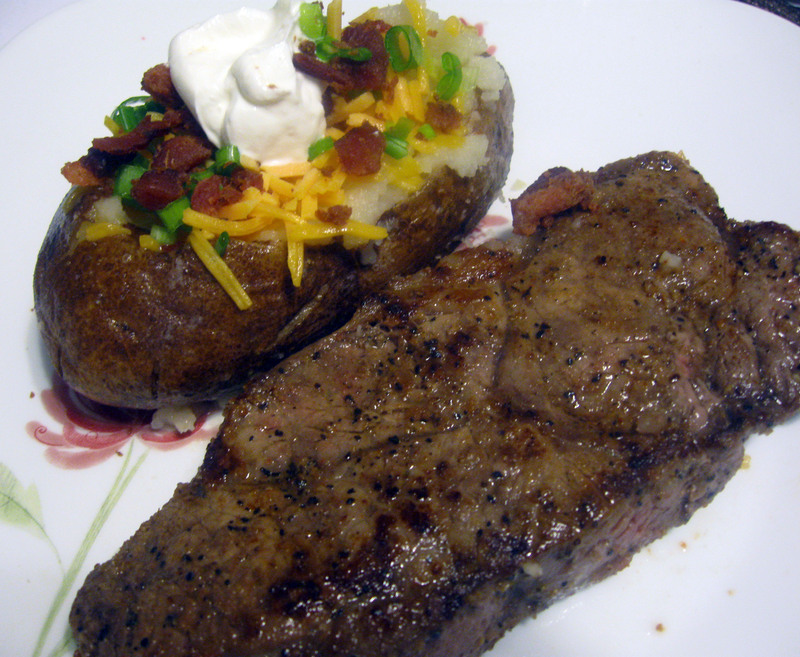 Allow to meat to warm up at room temperature before cooking. Control your heat. Baked Potato tips: Wash in cold water. Rub skin with olive oil. Cover skin in sea salt. Bake uncovered at 350 degrees for one hour and ten minutes. And here is a Texas size meal! 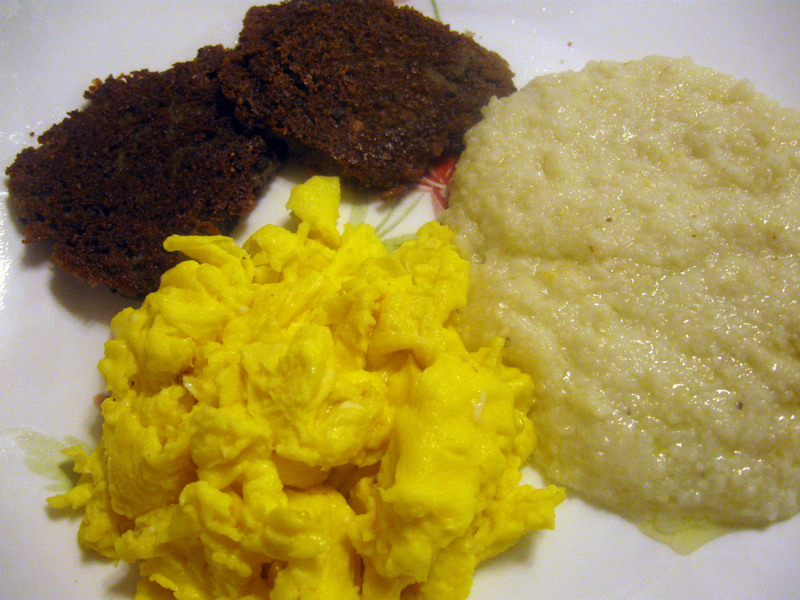 This morning I awoke and said,”No cereal or oatmeal today.” I broke out some scrapple, a box of grits, and some eggs. Grits are well-known in the Southern part of the United States. Grits are coarsely ground hominy that is cooked. Scrapple is a Northern Pennsylvania Dutch dish that is typically made of hog scraps, and other trimmings, which are boiled with any bones attached, to make a broth. The bones and fat are discarded, the meat is reserved, and cornmeal is boiled in the broth to make a mush. You fry this mush for a fantastic tasting meal or side dish. Eggs are international, and one of the most completely made foods on the planet. So here is a North South Breakfast. Many people leave work and the first thought to their mind is relaxation. For me it is time to cook. Why roving through the grocery store last night a vision came to me. That vision was to roast vegetables that I wanted in a pasta. I picked some of my favorites and thought about colors of the Earth. 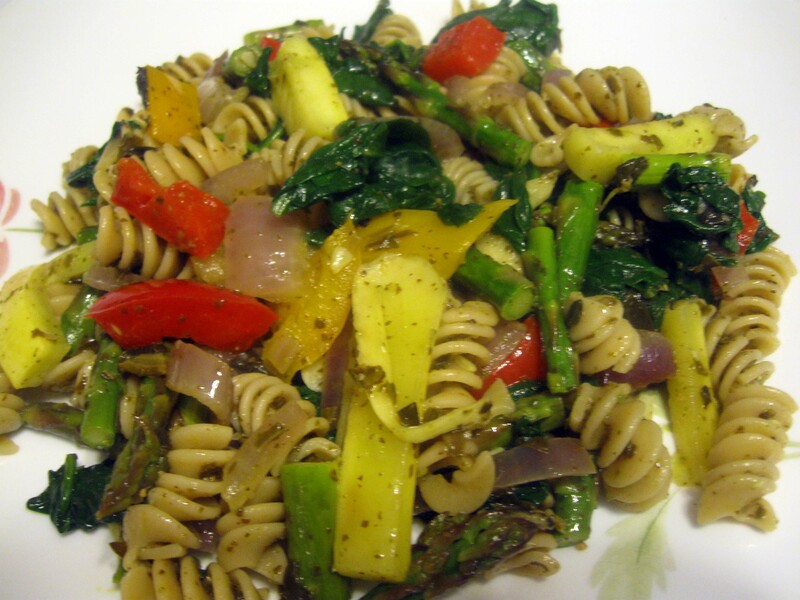 So I ended up with asparagus, spinach, yellow squash, red onion, and yellow and red bell peppers. So today, I prep and chop them, which took no less than 15 minutes. I add some fresh garlic slices, olive oil, cracked black pepper, and a little sea salt. Roast them at 400 degrees for 20 minutes stirring once at ten minute mark. While the veggies are roasting I prepare a pot of water to cook the Rotini pasta until al dente. Which is about 10 minutes for a pound. I used a steamer basket on top of the pasta to steam the fresh spinach to just slightly wilted which is less than two minutes. Next, I place the spinach in a large mixing bowl along with the fresh cooked pasta. I top this with a jar of Classico Traditional Pesto Sauce. I thoroughly mix it. 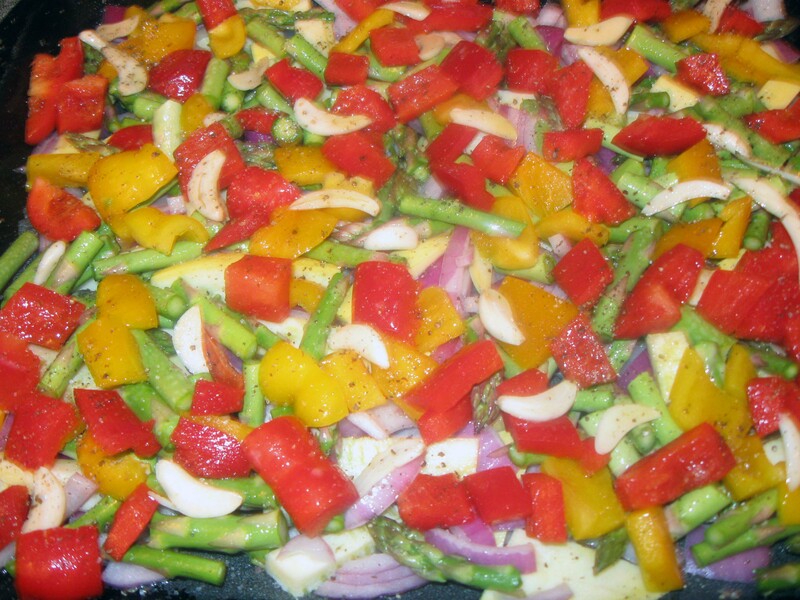 I then pour in the roasted vegetables and thoroughly mix again. Next, it heads to the plate. Enjoy! 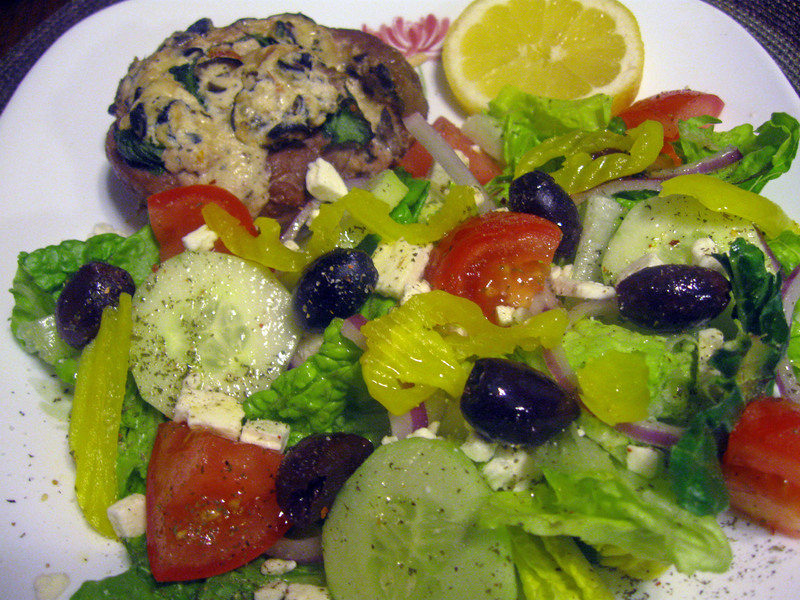 This is a vegetarian friendly dish, but may not be suitable to a vegan due to Parmesan cheese. This dish less than 30 minutes and is heart healthy.